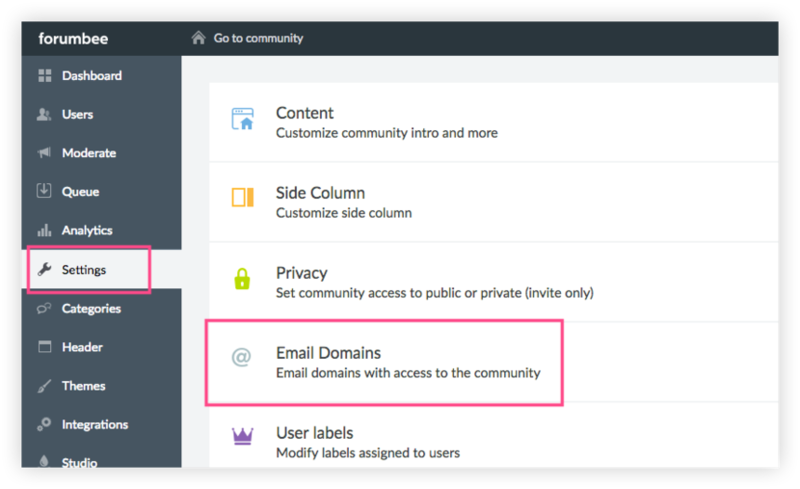 If you have a private community, you can give access to your entire organization by email domain. Only users with email addresses in domains that you approve are able to log in or sign up. Enter the domains, one domain per line. (Do not enter the @ symbol.) Click Save. Your domains have been added! 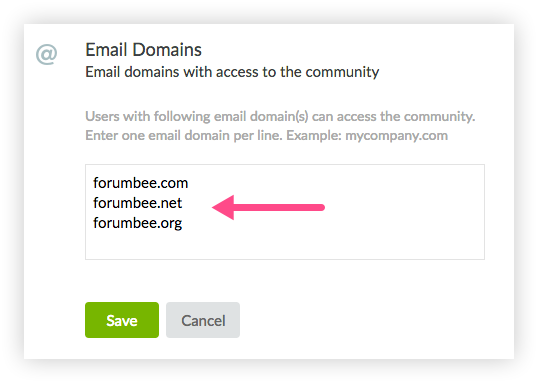 Users who visit the community can sign up directly using their email address from an approved domain. They will receive a verification email. After clicking the verification link, they are granted access the community. 1. Do you mean that every user with name@mycompany.com can enter? 2. What passwords they use? Yes, any user with a verified email address matching a listed domain can enter. Users create their own password. Do you have to put in every domain separately if a company has multiple country urls for their emails ex. (@company.com, .co.uk, .fi) or is there a way to include all country codes at once? Hi Patrick , thanks for your question! Yes, each domain must be listed separately, one for each country code that you would like to include.